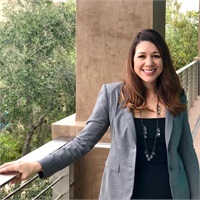 April Martinez has spent her career in the finance industry. She spent ten years in the equipment leasing industry as a funding coordinator as well as an administrative assistant in the financial services industry. April joined WealthWise Financial Services in 2018 bringing strong customer service skills as well as understanding the importance of being a team player. April enjoys helping clients with their customer service needs and is committed to providing five-star service. In her spare time, April enjoys baking cookies and cupcakes, working out and spending time with her four children.